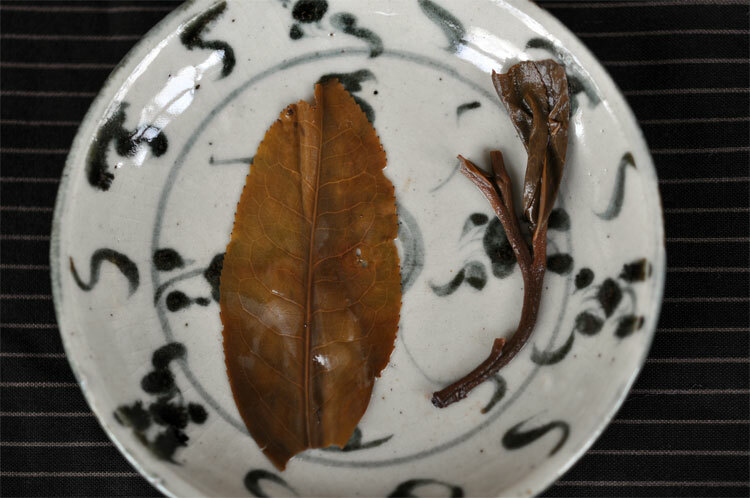 The leaves of this wild raw puerh are simply stunning. 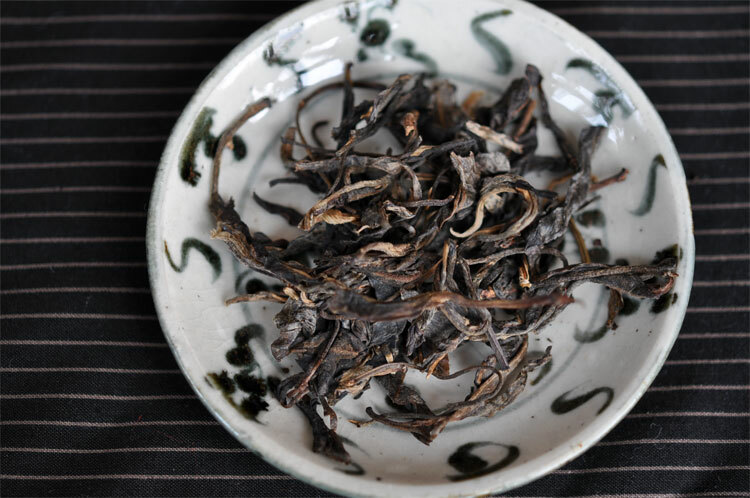 Pressed by hand, the first layer is easier to flake and yields big, unbroken leaves. Their smell is pure, sweet and intoxicating. They come from wild trees and from a high elevation. That's why they are so thick and full of flavors. 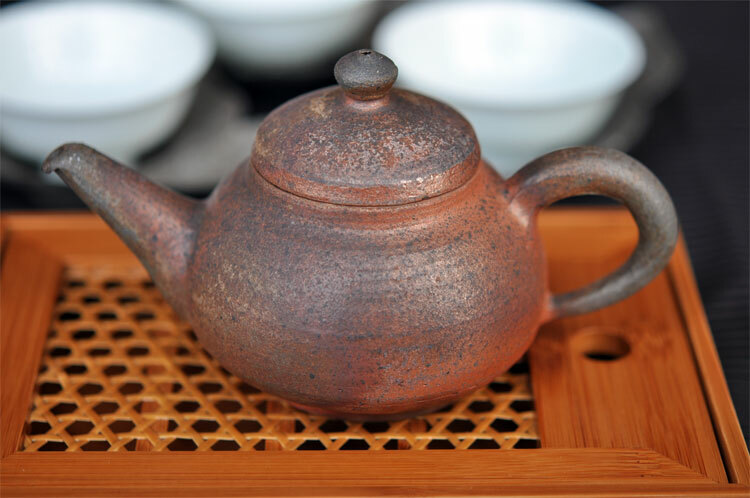 Very few leaves are sufficient for a great cup. And the longer they brew, the better. The tea feels whole and complete like this. If I use too many leaves and have to cut short the brewing for fear of obtaining too much concentration, then I feel that something is missing, that it has not reached all its potential. 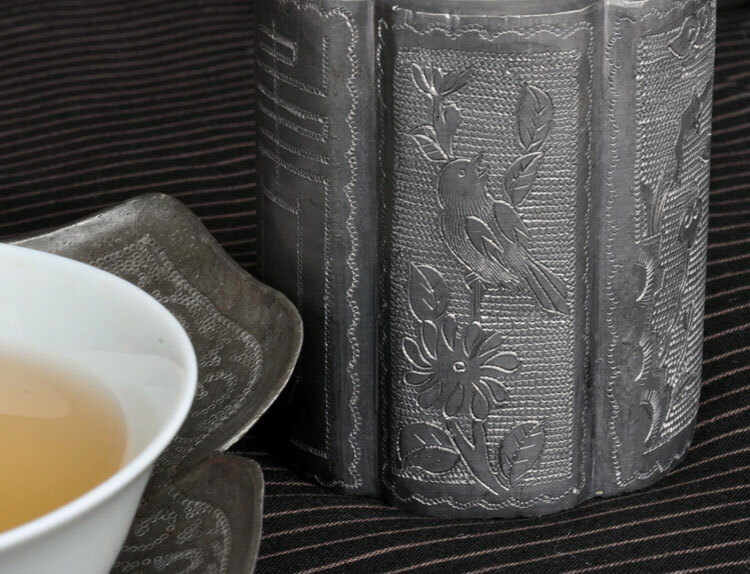 On the right hand is a single lidded pewter jar matching my cha tuo in style. (It's one of my early Xmas tea gifts!) 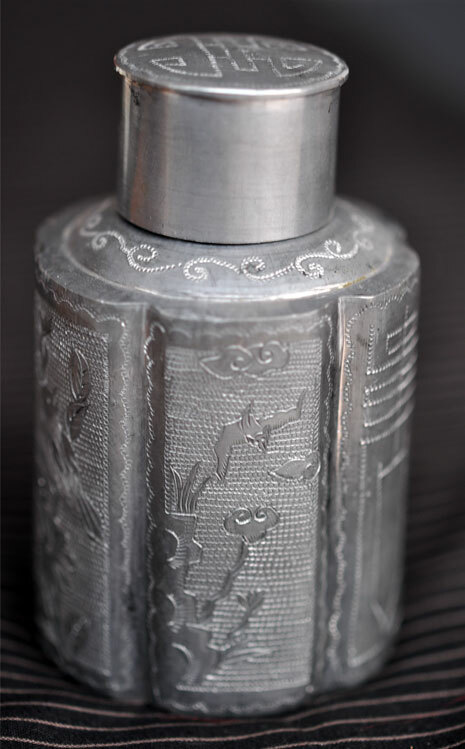 Its handmade decoration is so delicate... Such unique items seem to have a personality and project a sense of beauty and harmony. On the third day, I made a last brew of this tea. It's amazing how many times so few leaves can brew. And even the very last drop of the last cup has a purity and balance that I rarely find in other teas. 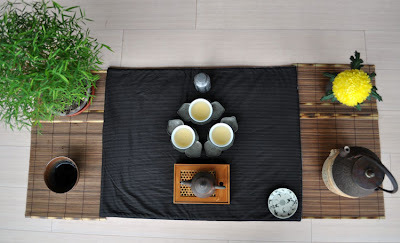 For me, this tea sets a mark of how I would like all my puerhs to be. I really love this tea. And because Christmas is coming and you have been of such a great support to me this year again, I would like to share a small sample with all those of you who will send me an order before the end of the year. 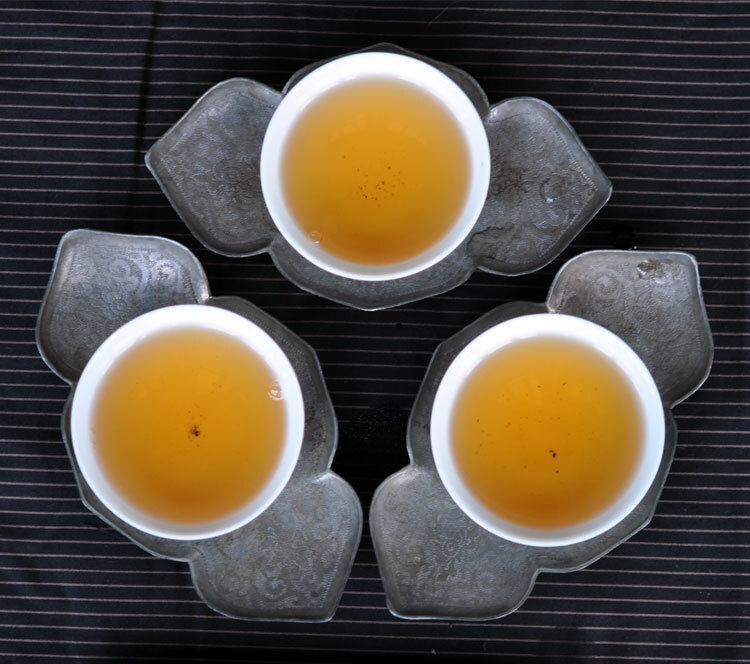 Guanxi cha means 'relationship' tea. Contrary to corruption that involves giving a big amount (of money), guanxi is more a symbolic token of one's friendship/appreciation. 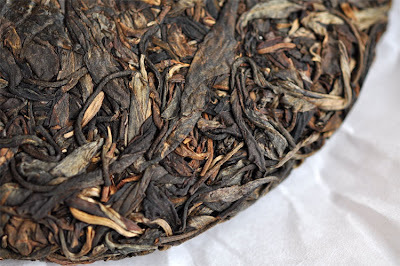 The nicest gift for a tea lover is not a big amount of average leaves, but a small amount of very unique leaves. Such teas can teach us so more about what quality and purity is than 10 blog entries on the subject. The tea looks really wonderful! And also the pic with David's teapot: Now I feel sorry that I did not buy one when I met him. I have few teapots for my puers but I like his style and personality of his works. I hope to get one in the future. 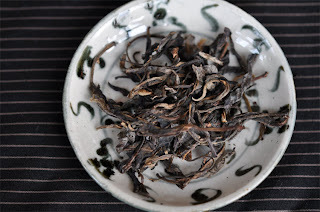 This is the best puerh I have ever tasted. I completely agree with you : it is at its best when using fewer leaves. David is preparing new teapots. I saw them before firing and they will be even finer!